Backflow is when any amount of water flowing from a source to a destination flows back to the source, contaminating it. This is especially a problem when the destination is a wastewater or sewage area, and most commonly occurs in locations where the source of the water is placed at a lower height than the destination. Preventing backflow requires a system of special valves and flow regulators to ensure that water only travels in one direction, from source to destination. 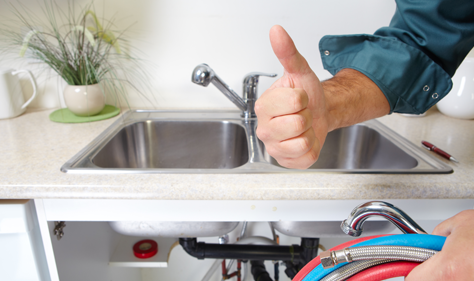 Colvenback Plumbing has many years of experience installing, maintaining, and repairing backflow prevention devices to ensure that your home’s or business’ water supplies remain free of contamination. If your backflow prevention systems are malfunctioning or you need a new system installed, don’t hesitate to call Colvenback Plumbing.